This intensive program provides beginners a solid introduction to Turkish. Students who complete the course successfully will complete the equivalent of the 1st-Year curriculum in the Department of Central Eurasian Languages at Indiana University and will reach a proficiency of Intermediate Low or better. They will be able to communicate in day-to-day situations in Turkish, will be able to read and write effectively on familiar topics, and will have a solid foundation for further study or travel. The program introduces Turkish culture through work with authentic materials and media, as well as Turkish activities and structured interactions with Turkish speakers. Housing in Willkie Center is included in your Workshop fee. You will stay in an air-conditioned single room, sharing a lounge with other students of your language. Summer dining options are limited. We recommend that you cook in the Willkie Hall kitchen or eat in local eateries. Tuition & $2,500 stipend. Merit based. Tuition, fees, housing, and stipend. Merit based. For ROTC students. Up to $2,500. Merit based. Tuition & stipend. Merit based. For female undergraduates. Sibel Ariogul Crum previously worked as an assistant professor in Foreign Languages Education Department at Hacettepe University, Turkey for six years and taught undergraduate and graduate courses in second language acquisition, foreign language teaching methodology, research methods and foreign language teacher training. She has also taught in Poland and Germany as a visiting assistant professor with European Commission, ERASMUS Teaching Staff Mobility Program. 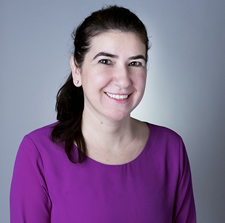 Sibel earned her PhD in Language Education with a minor in Applied Linguistics at Indiana University, Bloomington and worked as an associate instructor.